The Washington Humane Society is celebrating the arrival of its new mobile adoption center this Saturday, May 12, at Rose Park in D.C. at 26th and P Streets, NW. From 10:30 a.m. to 12:00 p.m. the WHS will host a fun-filled afternoon with opportunities to tour the new state-of-the-art adoption center, meet adoptable pets and WHS volunteers, and get into the downward dog pose…with your dog! From 11:00 a.m. to 12:00 p.m., Tranquil Space Yoga will host an hour of stretching, snacking, and doggie treats. There is a $10 suggested donation for the Doga session. It’s never too soon to plan ahead for the biggest formal event in D.C. that you can bring your dog to! WHS’s 25th Annual Bark Ball at the Washington Hilton is June 2, and tickets are on sale now. 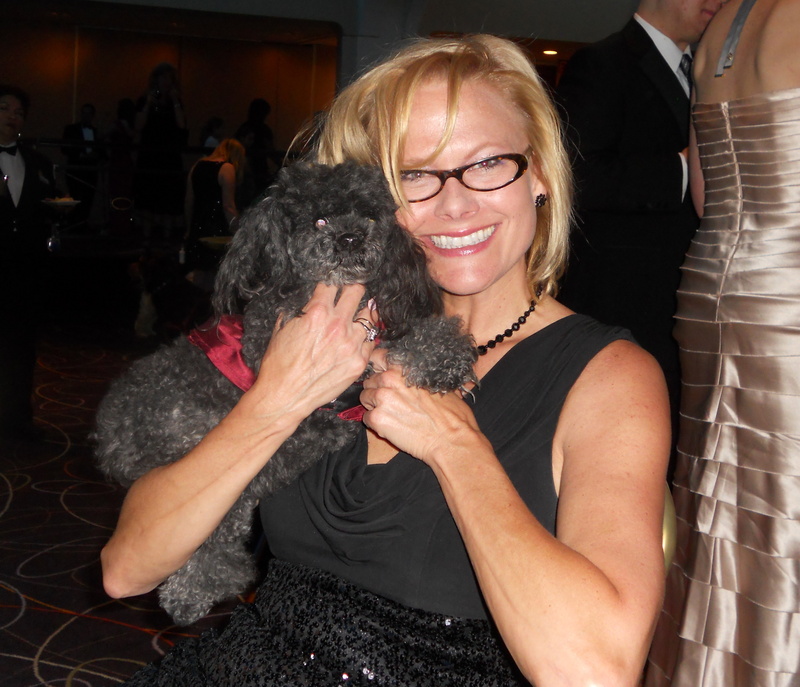 I took Sundae to the ball last year, and we had a blast. Everyone got a huge kick out of getting dressed up in formal attire and heading to the Washington Hilton (which just a few weeks ago was celebrity-packed for the White House Correspondents’ Dinner) with their dog for a night of great food, wine and two- and four-legged company. Read about and see pictures from the 2011 ball here. Tickets are $250, but if you’re 35 years old or younger, you can buy a Young Professional ticket for $150. Order tickets online here. Now, I’m not exactly sure where the connection is drawn between age and wealth, especially in D.C. where it seems every other 20-something sports Tory Burch flats and a Louis Vuitton bag. But, if it gets more money to support WHS’s programs and save more animals, I hope the place is PACKED with fresh-faced youth! Guests get to bid at a great silent auction with more than 120 items, a seated dinner, a live auction with 8-10 high-end items, and dancing. The Washington Hilton is at 1919 Connecticut Avenue, NW Washington, DC 2009.